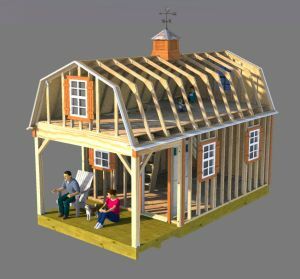 Build yourself a unique and awesome shed home, tiny house, small cabin, or just a super neat gambrel style storage shed with these 12x22 gambrel shed with front porch plans. 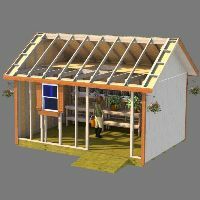 7 total windows are each 2' x3' tall. 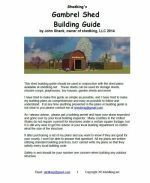 39 page illustrated and detailed barn shed building guide. 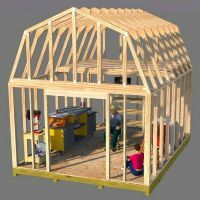 Miscellaneous Materials List for shopping and using to build by section (download now). 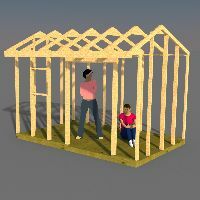 If you are ready to build this neat shed home with lots of storage space that's easy and fun to build, especially if you get your family involved, use the buy now button located below. 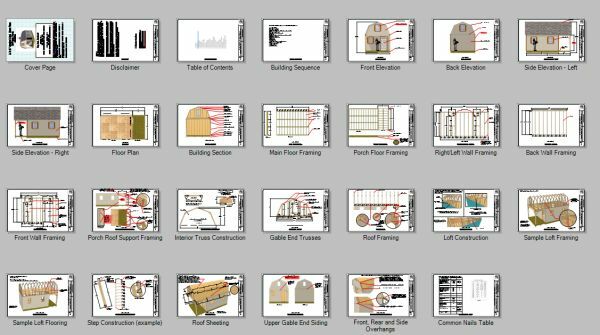 Your downloaded plans come in 11"x17" PDF format and will print to scale at that size for submission to your local building inspector. They can also be printed on 8.5"x11" on your home printer. Emailed Plans in .pdf for immediate download for $29.99. 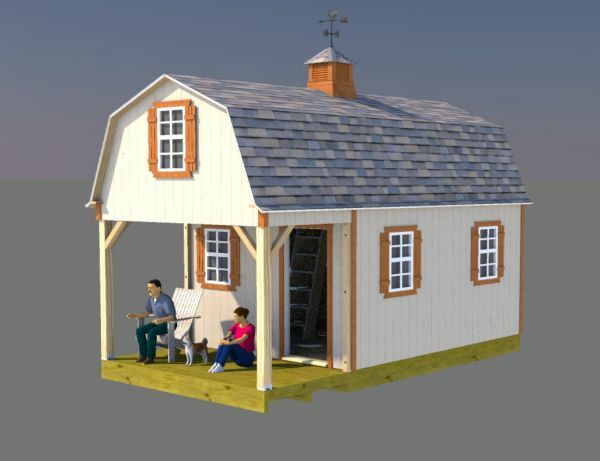 Shed Home, Tiny House, and Small Cabin Plans.